"Our mission is simple. We are dedicated to providing outstanding education and instruction on weapons, weapon systems and related equipment at an affordable cost." Our WSTC Comprehensive AR15/16 Armorer Course is a certified armorer course throughout the US. We are the certified LE Course for Rock River Arms, Inc., Stag Arms, Inc. and Adams Arms. However, this course is NOT BRAND SPECIFIC and covers ALL AR 15/M16 platforms! This class is structured for LAW ENFORCEMENT ONLY who are responsible for the implementation, instruction, repair and maintenance of the department or agency’s AR-15/M-16 weapon systems or other department officers may also attend. 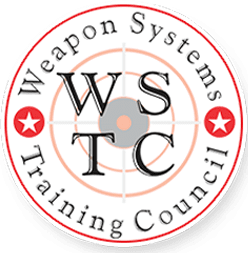 WSTC furnishes all Rifles, Parts, Professional Armorer Tool Box, Tools, Armorer Table Vises and all training materials needed for the Student to use while attending the class. In addition the students will receive a Notebook and the 450 slide WSTC Power Point Armorer presentation for future reference. The WSTC Armorer School is more than a basic AR Armorer Class. It is a three day very in depth and comprehensive school. Students must pass the written was well as the practical portion of the school to receive the Official Armorer Certification. We also offer several AR-15 manufacturer's discount programs to students who successfully complete the class. We firmly believe that Officers attending an Armorer Class or School should not be disassembling their issued Duty Rifles and reassembling them during the learning experience. Possibly subjecting the Officer and Agency to liability issues. We recommend a complete understanding of the weapon system prior to performing work on Agency duty weapons.